Rents increased 3% annually in February to £857 per month on average helping to offset recent tax hikes for landlords, new figures show. The East of England and the East Midlands saw rents rise faster than anywhere else at 2.9% each to £894 and £652 per month respectively, according to the latest Your Move Rental Tracker for England and Wales. The average rent in the East of England now stands at £894 a month – the highest outside of London - while in the East Midlands a typical property is let for £652 per calendar month. All but two regions – London and the North-East – saw prices increase in the last year, Your Move’s figures show. Unsurprisingly London remained the most expensive area to rent at £1,276 a month, down 0.3% year-on-year. The North-East remains the cheapest region to rent a home, with prices down 2% in the last 2 months to £535 a month. Once again, northern regions offered the best returns to investors, with the North East ahead of the pack. Properties in this region delivered an average yield of 5% this month - higher than anywhere else. The North West was close behind as the average property here returned 4.9% to investors. At the other end of the scale, landlords in London saw the smallest percentage return at 3.2%, down 0.29% annually The other areas with low percentage returns were the South East and South West regions, which both recorded an average of 3.3% this month. 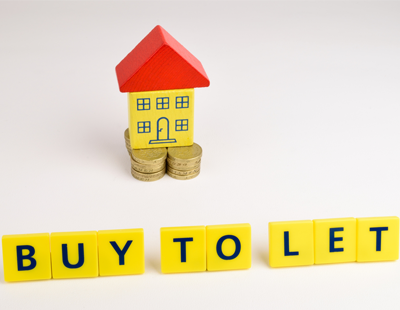 Martyn Alderton, national lettings director at Your Move, said: “While much of the UK was snowed under at the end of the month, February proved to be another positive month for the rental market. “Areas outside of London continued their strong recent growth, with impressive performances in the East of England and the East Midlands.